Ann Arbor Window Replacement | Ann Arbor Windows | Ann Arbor Home Window ReplacementMcGlinch & Sons CO.
McGlinch & Sons has been offering the residents of Southern Michigan exceptional window replacement services since 1917. If you need a home window replacement, then hire the experienced professionals from McGlinch. We are a respected, family owned and operated window replacement company that provides the most affordable home window replacement service. Residents of Ann Arbor can rely on McGlinch for a free window replacement estimate. When clients hire the experts at McGlinch for a home window replacement, they know they will be completely satisfied with the results. The city of Ann Arbor, Michigan is the county seat of Washtenaw County and is the sixth largest city in the state. Currently, Ann Arbor is home to the University of Michigan and has a population of 113,900 residents. When clients of Ann Arbor want a reliable home window replacement, they always contact McGlinch. 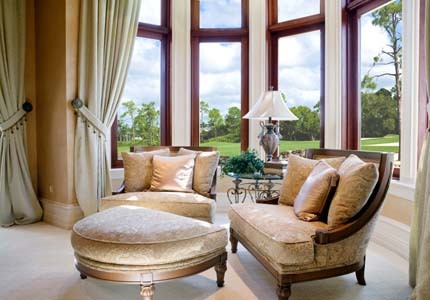 We offer quick installation for all replacement windows, interior windows, and exterior windows. You can hire with confidence when you choose McGlinch because we guarantee you will be satisfied with our work. McGlinch offers residents of Ann Arbor cost-effective window replacement services. We want to ensure all our customers are completely satisfied with our home window replacement service. If you need windows but don’t want to overpay, then choose McGlinch! We provide the most elite home window replacement services, and our experienced crew is prepared to help you. We offer competitive prices on window replacement services. To get a free estimate on a window replacement, contact McGlinch & Sons today!